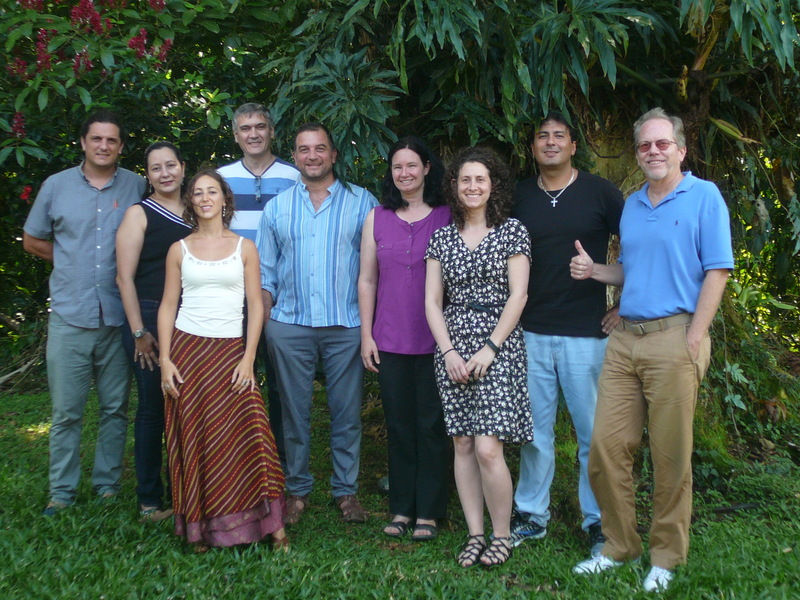 The meeting took place at CATIE in Turrialba, from 17 to 20 November. In this activity, representatives of CATIE, CI and the Center for International Cooperation in Agronomic Research for Development (CIRAD) sought to encourage interdisciplinary work between groups and plan activities for the next year. • How climate change will impact agriculture, ecosystems, ecosystem services and livelihoods of farmers? • What are the opportunities, needs and barriers for adaptation of small subsistence and coffee farmers to climate change? • What do we need to know about the frequency and impact of extreme weather events on agricultural systems of small farmers? Viguera also mentioned the discussion during the meeting about how to translate the project results in key decision-making, capacity building materials and other outreach recommendations. During the past year, the CASCADE project has made significant progress in many aspects which results in numerous scientific publications, particularly on climate change and impacts on the region; technical, scientific and policy interaction activities, at regional and international level. An important outcome so far for the project is obtaining preliminary results on the adaptation of small Central American producers and adaptation practices based on ecosystems that are being implemented, which will serve to promote the adaptation of the coffee sector and subsistence farmers, as well as the proper use of ecosystems as a means for co-benefits of best practices. The CASCADE project initiated in 2012 and is funded by the Federal Ministry for the Environment, Nature Conservation, Public Works and Nuclear Safety (BMUB) the Government of Germany.